Have Fun with Your Business! Posted 02-09-2015 by Dale Bohman. After completing a fabulous remodel of our restroom facilities, we decided to take it a step further. Here at PIP we are all about motivating our employees and empowering them to be their best at work and onward. We found a couple of “quotes” and graphics to suit our vivacious staff and proudly installed them in the coordinating restrooms. 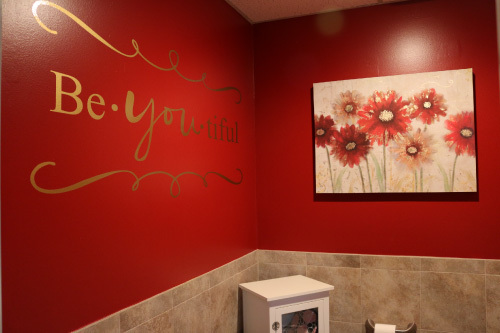 Our newest addition to our beYOUtiful ladies room. 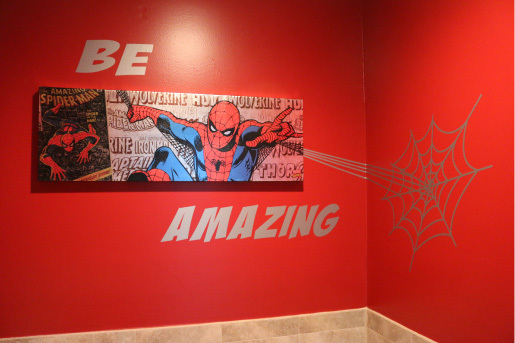 Motivating our shop superheroes every day!